Disasters happen every day around the world in one way or another, acts of God and acts of man can greatly affect and amplify one's problems. 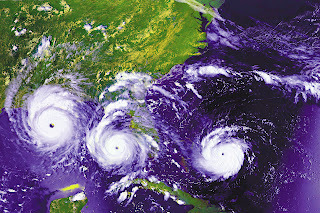 Hurricanes, earthquakes, tsunamis, fires, and economic recessions are happening all the time, there are many who respond to these events by trying to dull themselves with drugs or alcohol which has led people to think that the disasters are the cause of certain individuals substance abuse problems. However, scientists analysis of ten recent U.S. disasters has determined that most substance use problems following a disaster represent preexisting problems rather than new disorders, the disasters themselves exacerbate the problem because alcohol and drugs are some peoples only outlet for a mental reprieve from their real life problems. According to findings published on Oct. 4 in Archives of General Psychiatry, Dr. Carol S. North, of the VA North Texas Health Care System, and her associates studied a large database of survivors of 10 different disasters to determine the link between pre- and post-disaster prevalence of alcohol problems. "Of 811 participants in the index sample, 697 (86%) provided complete pre- and post-disaster alcohol data. Of the respondents, most were white (92%), and more than half (57%) were female. Mean age at the time of the disaster was 46 years, with 28% of patients between ages 18 and 35. More than one-third of subjects (38%) were injured during the disaster, with 20% diagnosed with a disaster-related post-traumatic stress disorder", (Arch. Gen. Psychiatry 2010 Oct. 4 [doi:10.1001/archgenpsychiatry.2010.131]). The prevalence of an alcohol use disorder (alcohol abuse/dependence) was 25% before the disaster and 19% afterward, wrote Dr. North, also of the University of Texas Southwestern, Dallas, and her colleagues. 3% (20) developed an alcohol use disorder during the follow-up period. Twelve of these were new cases, for a 2% incidence. The rate of onset of new alcohol use disorders over the next 2 years (0.08 new cases per month) was the same as the post-disaster rate. Those with a pre-disaster alcohol use disorder, 83% consumed alcohol after the disaster. 22% coped with their emotions by drinking. “Despite evidence from other studies that alcohol use may increase after disasters, the findings from this study suggest that this increase in use may not regularly translate into new onset of post-disaster alcohol use disorders,” according to Dr. North and her colleagues. “The distinction between alcoholic relapse and continuing or new alcohol problems is important, because people who are in recovery from alcoholism when a disaster strikes may be especially vulnerable to relapse when exposed to highly stressful events, thus constituting a population deserving of particular attention in the post-disaster period".